You will enter Warsaw by Janki and Raszyn on E67. Go straight through Aleja Krakowska Street and turn left towards Salomea-Wolica Route/DK7. On the fork keep the right side and follow signs Warsaw/Centrum/Ursus. Continue along Salomega-Wolica Route. After 1.6km turn right into Łopuszańska Street. Turn right into Przedpole Street and turn into first street on the right – Krakowiaków Street. Then turn immediately left into Działkowa Street. 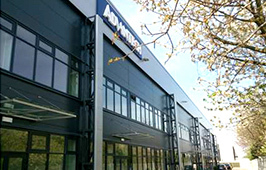 Advantech Poland office in on Dzialkowa 121a. You will enter Warsaw by Polish highway A2 from Germany (A12) through Poznań and Konin. Continue along S2/S8. After around 3km leave S8 and turn into S7/E77/Kraków/Wrocław/Warszawa Centrum. On the fork keep the right side and follow Salomea-Wolica Route/DK7. After 1.6km turn right into Łopuszańska Street. Turn right into Przedpole Street and turn into first street on the right – Krakowiaków Street. Then turn immediately left into Działkowa Street. Advantech Poland office is on Działkowa Street 121a. Go by E77/S2 around 25km. In Warsaw continue by Wisłostrada/Wybrzeże Gdyńskie, Wybrzeże Kościuszkowskie. Before Łazienkowski Bridge turn right into Armii Ludowej and go straight to Aleje Jerozolimskie. Then turn left until Łopuszańska Street. Turn and then turn into Przedpole Street and turn into first street on the right – Krakowiaków Street. Then turn immediately left into Działkowa Street. Advantech Poland office in on Dzialkowa 121a. From Central Station you need to cross Jana Pawła II Street . There is entrance to WKD Station Śródmieście. Direct trains depart every 15 minutes. After 13min there is station Warsaw Salomea, where you should leave the train. Follow the road along the railway tracks towards Działkowa Street. Enter second wicket and turn left. Our office is at the end, you will find entrance on the second side of it. For those who stay in Warsaw for few days we recommend hotel in centrum. 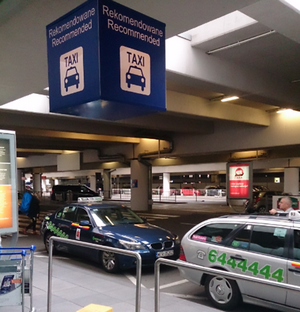 There is good transport to the office and nice base to explore the city. 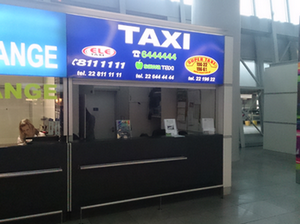 For those who stay in Warsaw for very short time, we recommend one of the hotels near airport.